While everybody working for the ten Formula One teams is really busy during Grand Prix weekends, focusing on their own issues rather than looking at what's happening with the others, there's always a bit of time, at the end of an exhausting working day, to look around, see what certain teams have done and, between friends, to express your feelings. 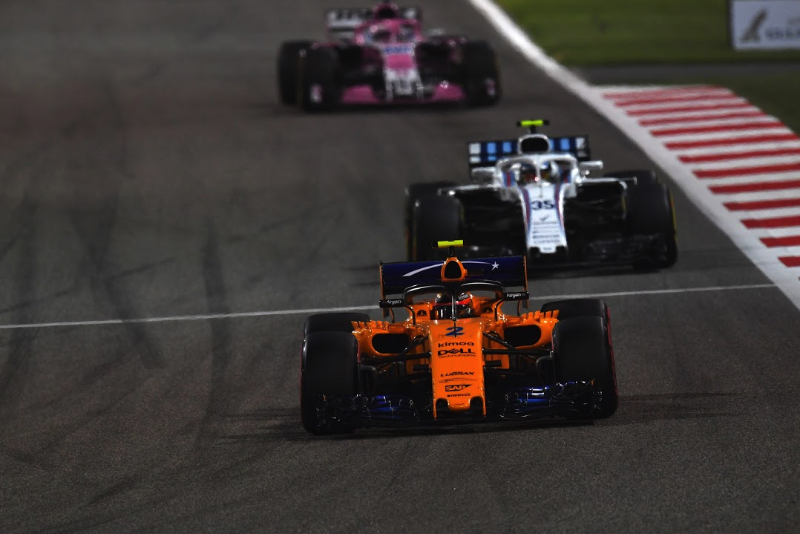 Saturday evening, wondering around the paddock of the Bahrain International Circuit, there was a lot of talking about three teams: Toro Rosso, for all the good reasons, and McLaren and Williams, because they had massively underperformed in qualifying. While Toro Rosso-Honda will be the subject of another column, as quickly as they confirm the speed and reliability shown in Sakhir, there's a lot to be said about the situation both historic British teams are facing. And the way their plight was commented in the paddock is a good reflection of how they have handled themselves in the last few years. Schadenfreude, as you surely know, is a German expression that means, "experiencing pleasure, from seeing the troubles, failures, or humiliation of another" and there is no better word to describe how most people seemed to feel looking at the two McLaren-Renaults being the slowest cars in Q2, while Pierre Gasly put his Toro Rosso-Honda up to sixth place in Q3 and would start the race from fifth thanks to Lewis Hamilton's penalty. The feeling was so widespread that a Technical Director of a team that also had a tough day on Saturday, said, "seeing McLaren way behind Toro Rosso was the only thing that made me smile today!" He was not alone, because there was a general feeling of "you so deserved that" directed at McLaren, the reason being the abysmal way some of its most prominent staff treated Honda in public over the last three years. At one stage there seemed to be a competition between Fernando Alonso and Eric Boullier to see who could say the most humiliating things about the Japanese manufacturer and eventually even Stoffel Vandoorne joined the sport of "Honda bashing" in the last few races of the 2017 season. While one swallow does not a Spring make and for sure McLaren will beat Toro Rosso-Honda on quite a few occasions this year, what the results from Bahrain showed is that there is nothing fundamentally wrong with the Honda Power Unit - Gasly was comfortably best of the rest both in qualifying and the race - while the weaknesses of the McLaren chassis were well exposed. Over the last three years McLaren put out that they had a winning chassis and the only reason they were struggling in the middle of the field was because their cars were massively underpowered. But since swapping to Renault power, McLaren has been slower than Red Bull and Renault's works team in qualifying, with the gap to the Milton Keynes-based team being quite embarrassing. In Melbourne both MCL33 were out at the end of Q2, Alonso being 11th quickest, 1.276s slower than Max Verstappen, who had been fourth fastest. Last Sunday, in Sakhir, the Spaniard was again the fastest of the two McLaren drivers, down in 13th place, while Ricciardo was only 6th quickest, 0.978s ahead of the Spaniard, after a run done with more fuel than normal as Red Bull wanted to try something different before Q3. In the final session, the Australian's best time was 1.814s faster than what Alonso had managed in Q2, a better reflection of the difference in speed between the Red Bull RB14 and the McLaren MCL33, two cars with identical Power Units. Not only that, McLaren was also the slowest Renault-powered team on the speed trap, demonstrating the MCL33 has a lot more drag than the 2018 Red Bull and Renault, leading us to believe this was also the case in the previous years and accounted for part of the straight speed deficit its cars had while powered by Honda. Much as it may pain them, it's time the top management of McLaren and its drivers eat a big chunk of humble pie and admit their car is not the world beater they thought it was. In fact, compared to the Red Bull RB14 it's quite a poor chassis and there's no way the team is going to catch up its Austrian rival before the end of the year. Until that happens, and especially when Toro Rosso-Honda will be ahead of the papaya orange cars, there will be a few people quietly rejoicing at the team's plight in almost all the corners of the paddock. In a way Williams has now replaced Tyrrell in the heart of the veterans of the paddock - a once great team that failed to move with the times and went down the grid at a slow but steady pace - and the only thing one can hope for is that someone steps in, takes control of the team, injects much needed funds and hires the right people for key roles, to avoid the fate Tyrrell endured exactly 20 years ago.